“Luck is for Losers” is a phrase my wife has been saying a lot lately. It’s totally true. We make our own luck. If you don’t put yourself in the right place at the right time you’ll never even have that chance to “be lucky!” Luck had nothing to do with it, you made the choices in life that lead to such good fortune. About half the bands in this episode took it upon themselves to send me a message about their band and maybe a few songs, the other half I was lucky enough to stumble upon. The former made their own luck, the latter I consider myself lucky to have found. It’s a big, crazy world out there, don’t waste your time, get out in front of it and make your “luck” happen. Show support for the band by clicking on those links and checking out their websites and music! 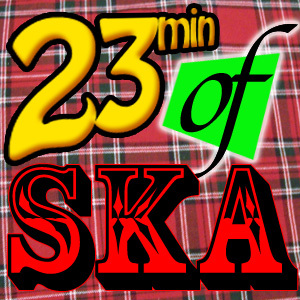 Show support for the podcast by finding & liking 23min of Ska on facebook as well as follow on twitter. Also, feel free to download this episode if you wanna keep it forever. Another way to support the podcast is to buy some records from our partners in crime over at Grandpa’s Casino Recordings, they carry some great vinyl ska records! Here we go! Music, music, music! Ska, rocksteady, ska/punk and even some reggae edging stuff… why? Because it is awesome, it is all awesome! I remember the goals I set for the show for last Summer and I eventually lost my way, but now I’m back, and I’m going to make it a priority, more small bands, more tent pole bands, more non-USA bands and a bigger variety of bands. Basically get out of my rut of just playing 90’s Midwest ska and my friends’ bands. 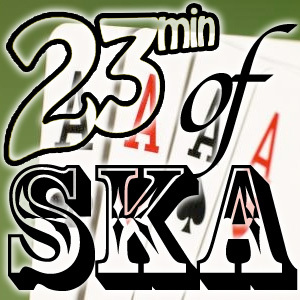 Another new thing is that I’m going to be linking to places to get the songs that you hear on the podcast (whenever possible) in addition to the the band’s website on 23Ska.com. So go get those songs if you enjoy them! To the bands out there, keep being awesome, to the listeners out there, thanks for hanging in there! Let’s make 2013 another great year for ska music! Find & like 23min of Ska on facebook. Also, feel free to download this episode. Want to expand your ska vinyl collection? Hit up Grandpa’s Casino Recordings, we have what you need!